The Supreme Court’s ruling against Aereo last week may have done more than just shutter the fledgling streaming service. It’s now being cited by broadcast networks in legal battles with other providers of streaming video. Fox is currently tussling with Dish Networks in court over the latter’s Dish Anywhere streaming service and its accompanying Hopper DVR. The case is being heard by the Ninth U.S. Circuit Court of Appeal in Pasadena, Calif., next week. At issue is Dish Anywhere, a service that lets Dish subscribers see live TV or programs recorded to their Hopper DVRs on their PCs, laptops, and mobile devices using Slingbox technology. Hopper’s “sideloading” feature lets Dish subscribers offload content from their Hopper DVR to an iPad for later viewing. Fox is not happy with this service. But it really hates Dish’s AutoHop option, which lets Dish viewers skip commercials in the Fox broadcasts. And that’s where the Aereo case comes in. In case you’ve forgotten, the Supreme Court ruled last week that Aereo violated copyright laws by streaming live broadcast television to other devices without paying broadcasters for the privilege. Networks like Fox argued that Aereo’s core service constituted an unauthorized public broadcast of their programming, and a majority of justices agreed. 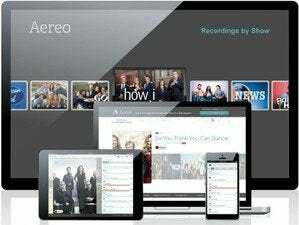 Over the weekend, Aereo shut down its operations—temporarily, the company says, while it figures out its next step. Broadcasters have already figured out their next step, and that’s to get the Aereo ruling applied to other cases. Citing last week’s decision, Fox lawyer Richard Stone argues that Dish’s use of Fox’s content is as illegal as Aereo’s usage is. Dish Anywhere lets subscribers use a mobile device to watch live TV or programs they’ve recorded on their DVR. Fox is none too pleased with that capability. “Dish, which engages in virtually identical conduct when it streams Fox’s programming to Dish subscribers over the Internet—albeit also in violation of an express contractual prohibition—has repeatedly raised the same defenses as Aereo which have now been rejected by the supreme court,” Stone wrote in a submission to the Ninth Circuit Court, as reported in The Guardian. Where this will go is anyone’s guess. The Supreme Court’s Aereo decision provides potent ammunition for both Fox and Dish. What is clear is that the Aereo decision has given broadcasters additional leverage when it comes to negotiating payment terms with distributors such as Dish, which is what this fight is all about. Ultimately, it’s about money.